Christmas birthday cards are hard to find. How do you send special birthday greetings to someone born on Christmas day? It's a double celebration! Happy Birthday! Merry Christmas! Click on any image on this page for gallery and expanded view of all the birthday cards/celebration images within this article. Do not let the birthday guy or gal feels cheated having his or her special day overshadowed by the greatest celebration of the year. Let's make the occasion uniquely his or hers in a special way. Make and send a creative birthday greeting card. Certainly not one you can find in a normal card shop. 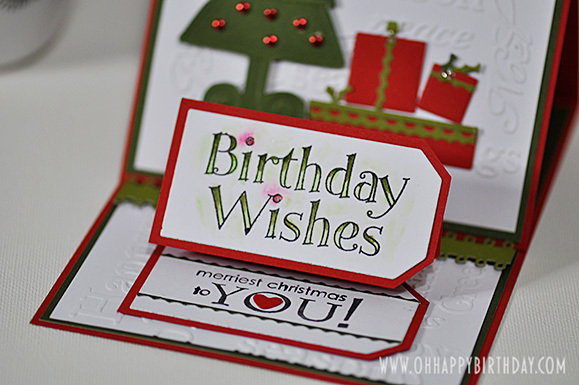 Why not take some time to make a Christmas birthday card specially for him/her? Check out the two birthday greeting cards I have created below. As this is for a double celebrations, I spent more time and effort on these two handmade cards. After much considerations, I decided to make these easel cards so that the recipients can proudly display them on Christmas day. The first one I created featured a Christmas tree and some presents under the tree and the other a snowflake against a winter background of snowflakes. This first one uses the traditional colour theme of Christmas red and green against a white background. 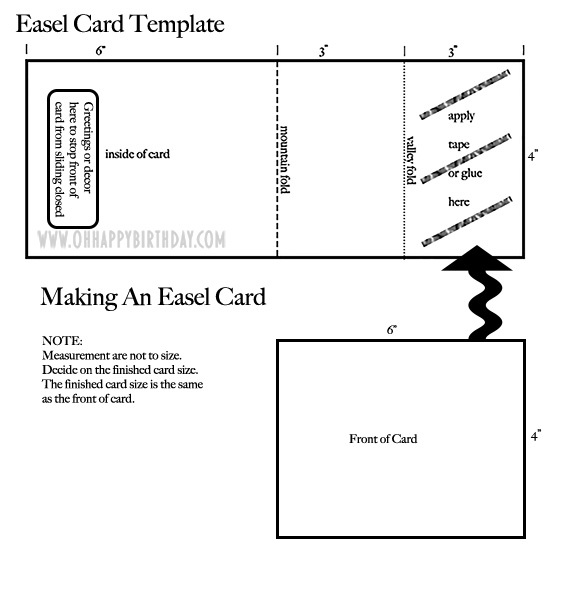 To make an easel card, just follow this steps. Decide on the finished card size. Cut a piece of card double that of the card size. Score and mountain fold in half. Score and valley fold one panel in half. 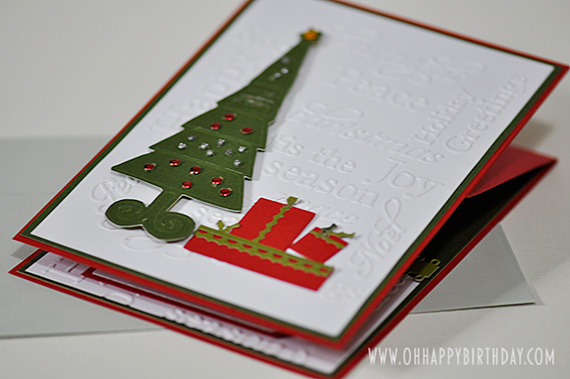 Apply glue or double-sided tape on the top half of the card. Attach to the folded card at the valley fold. 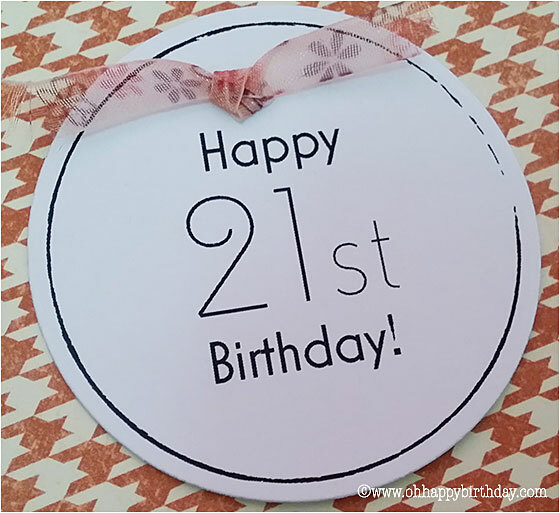 Download the Easel Card Template if you prefer to print it out and refer to it while making your Christmas birthday cards. Otherwise, you could just refer to the diagram below. Have a look at the handmade greeting card below to get an idea of the finished easel card. The greetings on the inside of each card helps to support the front panel so that it stands without sliding back and closing the card. For this dual purpose handmade greeting card, I did another tiny easel tag and placed it inside the card at the bottom half. This enables me to put two greetings there; 'Birthday Wishes' and 'Merriest Christmas to YOU!'. The tag is done with the same concept as the main easel card except that it is reduced in size and in the shape of a tag. I embossed a piece of white card about half the size and narrower on the sides than that of the finished card. Place die cut paper ribbon on top. This helps stop the front panel from sliding down when placed on display. The tag easel being small was able to stand without any support. 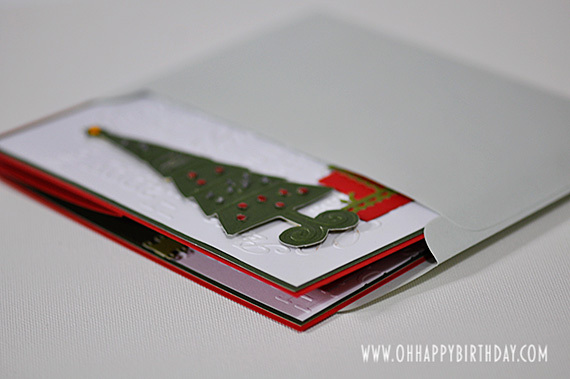 To close the Christmas birthday greeting card, just lift the front panel and it will slide down and close flat. This enables you to easily insert it into a standard envelope and post or hand deliver it without damaging your embellishments. 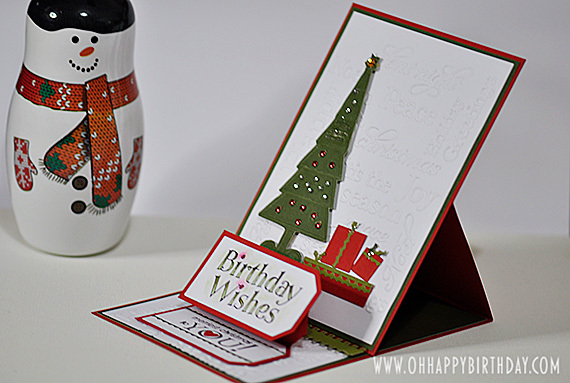 This easel Christmas birthday greetings looks complicated but actually is very easy to make. Just follow the directions given above and you should be fine. The little effort and time taken to make this card is worth it to make it unique for the birthday person. Hey! I think it's fair that he/she should receive something like this, right? Instead of receiving two cards in a year, he/she is only getting one. So make it special for the birthday guy/gal. 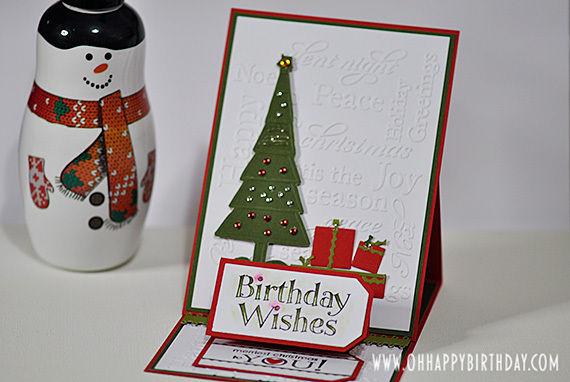 You could also make some Christmas greeting cards without the birthday greetings for other special people in your life. Okay! I did mentioned two Christmas birthday cards above. Actually, there's another one that you should see featuring a snowflake - might be just the right one for a guy as the card is blue in colour. Have a look! 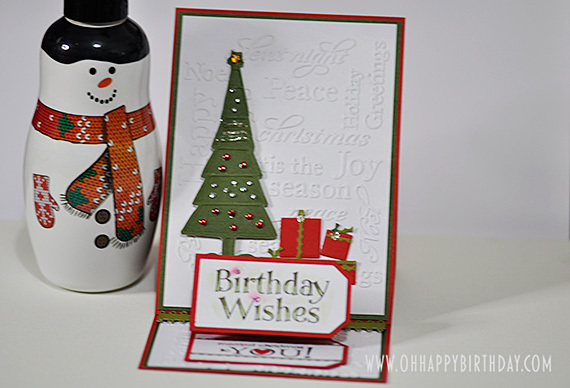 Click here to view the Snowflake Birthday Card.